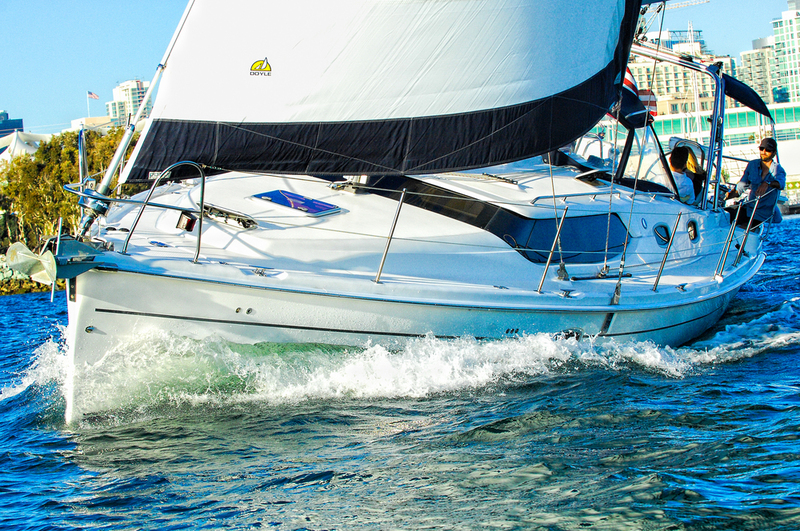 San Diego Luxury Sailing's home page highlights the yacht, testimonials, and available options for private charter. 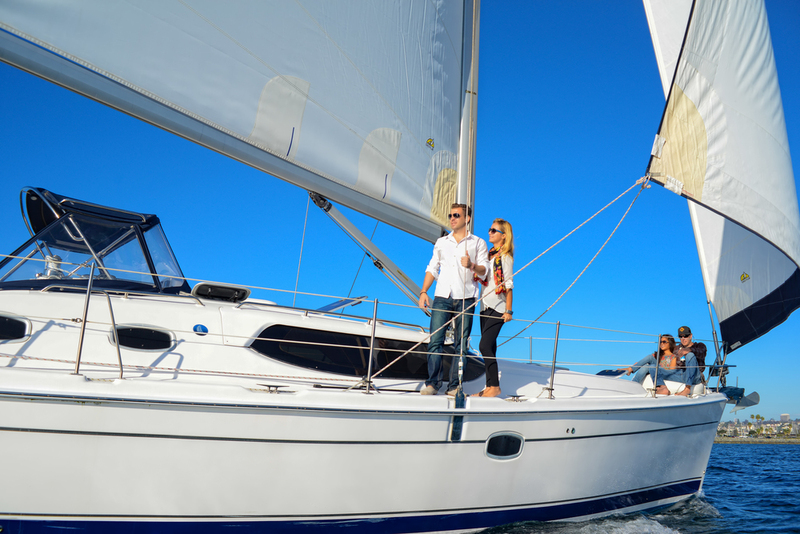 Private Sunset Sails are our most popular cruise option and are available daily. Book this cruise to experience a uniquely beautiful San Diego Sunset on a luxury sailing yacht. Click HERE to learn more. 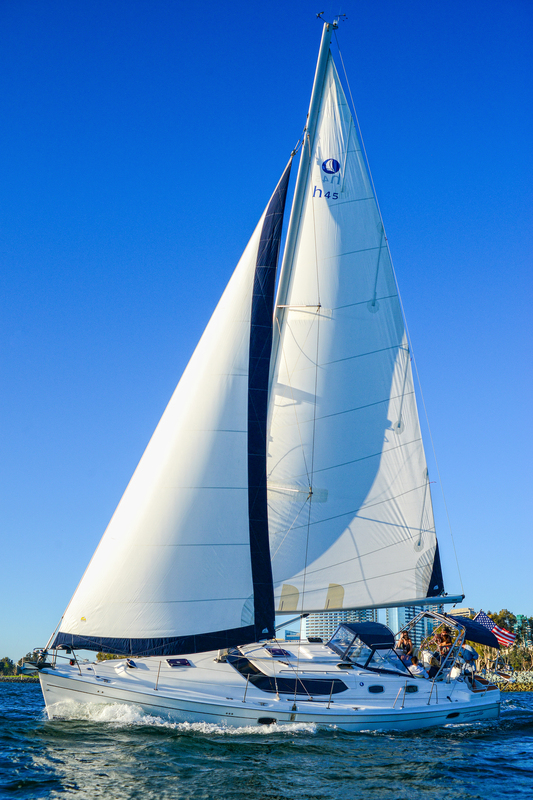 The Coastal waters offshore San Diego provide great conditions for Whale and Dolphin watching Adventures all year long. 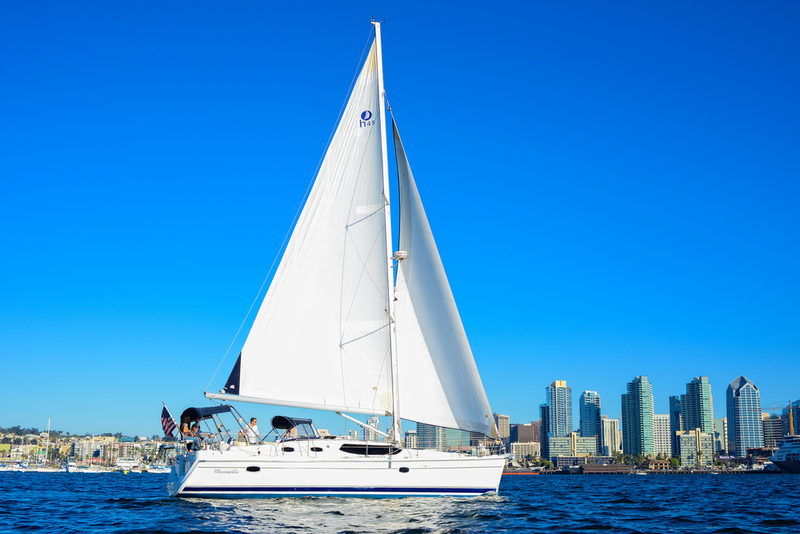 Whale watching on this private yacht is the best way to get close to San Diego's wildlife. Click HERE to learn more about our year-round Whale watching cruises. 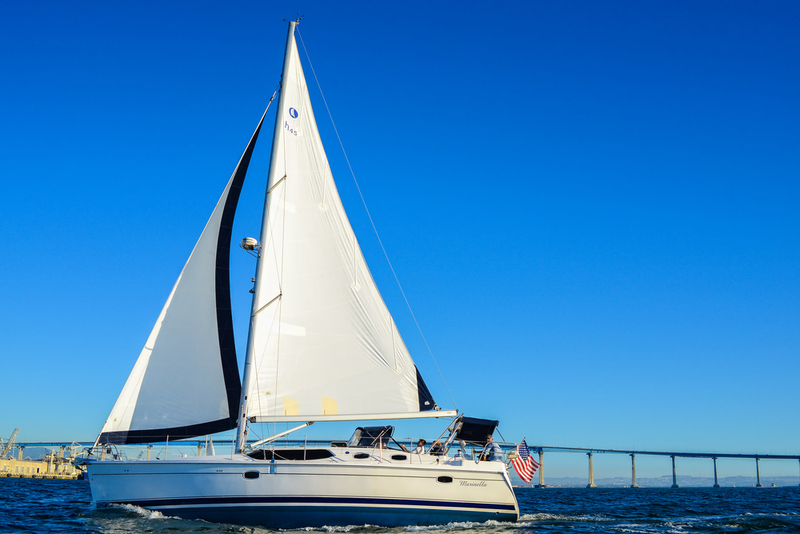 This authentic overnight experience includes a sunset sail along the San Diego City Front on your way underneath the Coronado Bridge to your private anchorage in Glorietta Bay. This tranquil anchorage alongside Coronado Island Golf Club has a private beach and spectacular views of Downtown, The Hotel Del Coronado, and the Coronado Bridge. Click HERE to learn more.